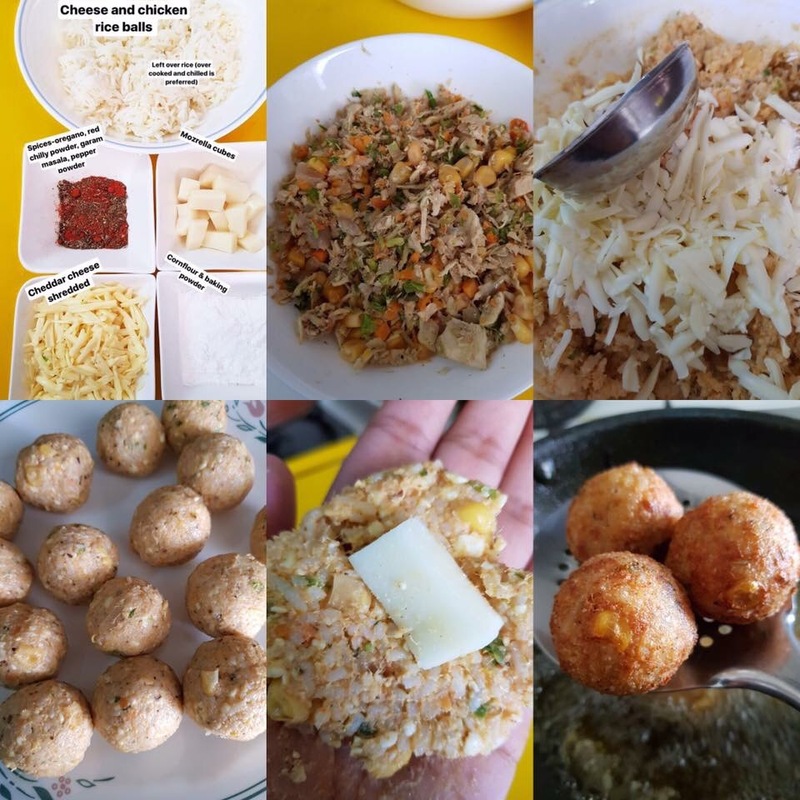 What do you do with excess over cooked rice ? I had some left over rice and was worried cause the next day Ramadan, no one would want to eat left over rice for first day of Iftar so I planned to Google and found a recipe. So I found a rice ball recipe and added in some of my twist and TADAA it’s ready! To the rice add in cheddar cheese, spices, chicken, veg filling, corn, salt, baking powder and corn flour mix all together. Left over, over cooked chilled rice is preferred.